Does CoinPoker's Cryptocurrency Poker Room Help Safequard its Clients Against Online Poker Cheating and Account Deposit Theft? 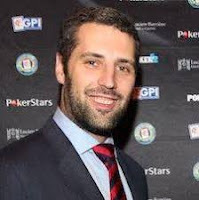 According to online-poker-cheating pundit Michael Josem, who is a Hall of Fame Cheatcatcher responsible for breaking up several online poker-cheating scams including Absolute Poker and UltimateBet, it does indeed. Cryptocurrency will operate with CHP tokens and blockchain technology against unfair games and cheating. According to CoinPoker rep and professional poker player Isabelle Mercier, "CoinPoker's mission is to provide safe, transparent and trustworthy poker games." She added that "Blockchain opens so much more opportunities for the community even in those regions where fans of the game have constant payment problems, like Asia and Latin America. Players around the world can be confident that their funds will be secure, their cards will be random, and their games will be fair. Crytocurrency will reduce the time transactions take from days to just seconds, anywhere in the world, allowing players to take solid control of their funds and accounts. To guarantee total transparency, CoinPoker is putting their random number generator on blockchain. My take: It does sound good....and safe!